1. For all contests, all prizes must be claimed by the winner in person within 30 days of the date of the contest, unless otherwise specified during the contest. You could be asked to show proper identification to claim your prize. After 30 days, unless otherwise specified during the contest, all unclaimed prizes are forfeited and become the property of ESPN BLACKSBURG/Positive Radio Group/Base Communications Inc.
3. 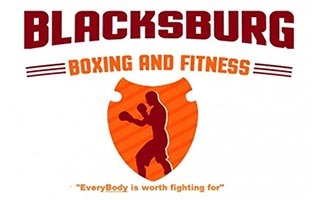 All contestants must be at least 18 years of age to participate in any contest and/or win prizes from ESPN Blacksburg unless an individual contest specifies otherwise. Certain individual contests may require special additional rules for play. 4. ESPN Blacksburg/Positive Radio Group/Base Communications Inc. reserves the right to change and/or cancel any and all contests at any time. 5. ESPN Blacksburg/Positive Radio Group/Base Communications Inc. is in no way responsible for any and all liabilities related to or caused by any and all prizes given. 6. All prize winners are completely responsible for any and all taxes and may be required to sign a tax form to claim certain prizes. 7. ESPN Blacksburg/Positive Radio Group/Base Communications Inc. cannot be held responsible for any telephone, internet or email malfunctions. 8. All contestant names and voices could be recorded and played back on the air in conjunction with any contest and may also be used again for other station promotions. 9. Employees of ESPN Blacksburg/Positive Radio Group/Base Communications Inc., their immediate families along with employees of other radio and tv stations are not eligible to win prizes from ESPN Blacksburg. 10. Written copies of these contest rules are available at the ESPN Blacksburg Business Office located at 145 Jackson Street in Blacksburg, VA during regular business hours, 8:30AM until 5PM Monday through Friday, excluding holidays.